Islamabad is the capital of Pakistan and the tenth largest city in the country. The population of the city has increased from 100,000 in 1960 to 1.21 million in 2009 (CDA, 2009). Its elevation is 507 meters (1,663 feet). The area of Islamabad is 906 square kilometres (350 sq mi). Islamabad Capital Territory is divided into eight zones: Administrative Zone, Commercial District, Educational Sector, Industrial Sector, Diplomatic Enclave, Residential Areas, Rural Areas and Green Area. 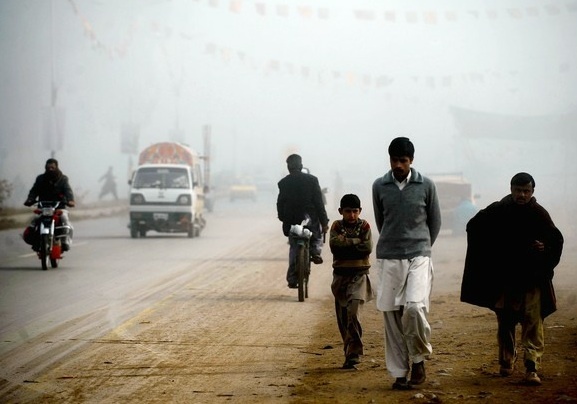 Majority of people walk in Islamabad, the percentage of which is 36 percent. 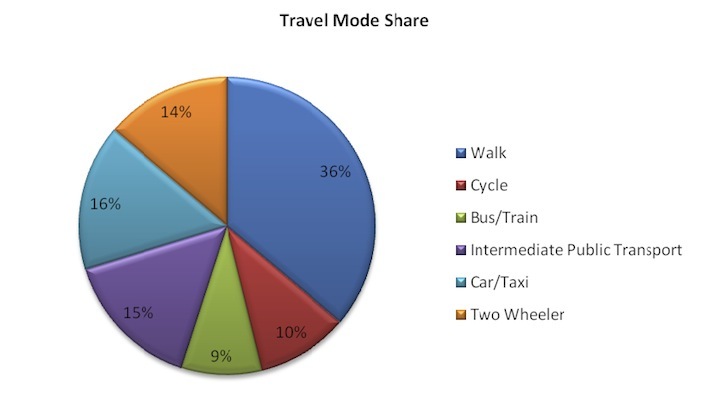 A total of 16 percent people use cars or hired taxi to reach to their destination. Another major proportion of people that comprise of 15 percent of the population use intermediate public transport. Around 14 percent of the people use two-wheeler transport (motorcycles) and a small proportion which is around 10 percent use cycle for commuting. Since, no proper system is available, only about 9 percent of people use buses for their commute in the city. 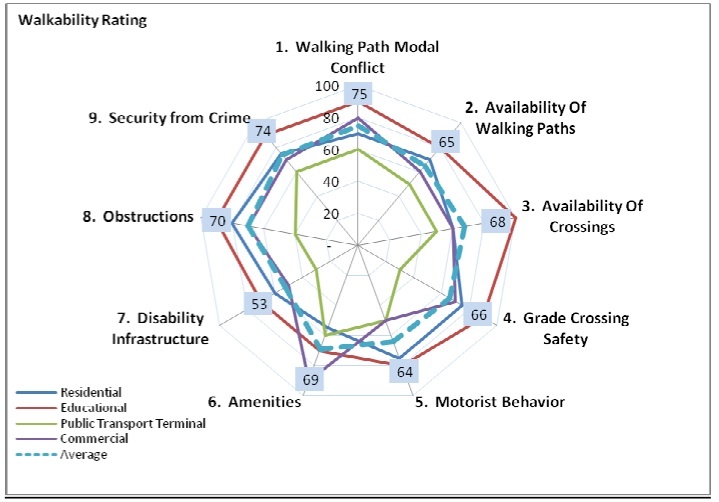 The results of walkability rating under nine parameters applied in the survey of Islamabad reveal that the highest walkability rating was assigned to educational areas. This high ranking is attributed to the availability and maintenance of walking paths developed within these premises. There is no hindrance in paths and motorist movement is minimal in the educational areas. Security from crime in these areas is far better as these areas are specifically developed and vigilantly watched. However, many respondents were not satisfied with the disability infrastructure in the area. Residential and commercial areas have comparatively high ranking against the walkability parameters, as some of walking pathways have been developed and well maintained. Although, some obstructions do present because of the security checkpoints. The commercial areas face walking path conflict due to encroachments by road-side hawkers, which is more common in low income areas than in the posh commercial areas of the city. Disability infrastructure is present in some areas, but is not properly maintained. Lowest walkability rating was obtained into the public transport terminals, which is linked to high pedestrian movement, especially during peak hours (morning and evening). Ground crossings are present in some areas, but people are not willing to cross them. Most of respondents claimed that they prefer ground crossings because of the height of skywalk and time spent for crossing. Security from crime is higher as these areas remain crowded. Obstructions on the walkways are rampant as most of area is occupied with hawkers who vacate their place after intervention from law enforcement agencies but return again. Lack of disability infrastructure is the highest in these areas. The major issues attributed to walkability are lack of available infrastructure, obstructions, encroachments, mis-use of walking facilities and poor safety measures particularly those related to behavior of the motorists.